This entry was posted in Opera and tagged dark horse comics, full opera, history, ildebrando pizzetti, illustration, josé pepe martînez, latin america, modern opera, new opera, posters, r. black, san diego opera, spotify. Bookmark the permalink. Thanks! 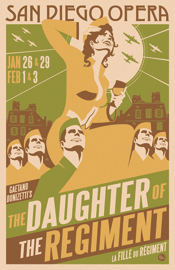 I love this style…it reminds me of communist ( or anti-communist) posters of the 30’s. these posters are absolutely gorgeous! the one for “fille du regiment” would not be out of place in mao’s china or the soviet union. 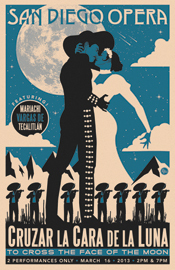 so intrigued by a mariachi opera…inflamed passions and mariachi music = mariachi opera!